Business Innovation Hub building at the University of Massachusetts Amherst adds 70,000 sqft of hyper-collaborative study and social space to one of the top-30 public business schools in the United States. First MassDOT Building to be Nationally Recognized for its Environmentally Friendly Features. 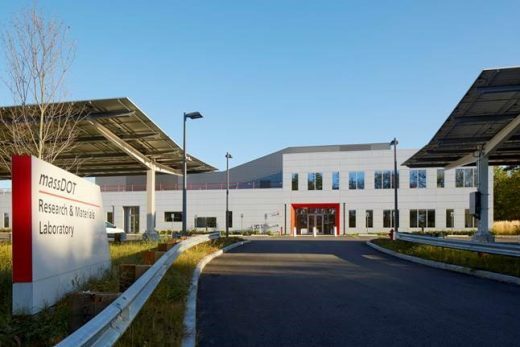 The Massachusetts Department of Transportation (MassDOT) is pleased to announce that the MassDOT Research and Materials Lab in Hopkinton, MA has been nationally recognized for its environmentally-friendly features. 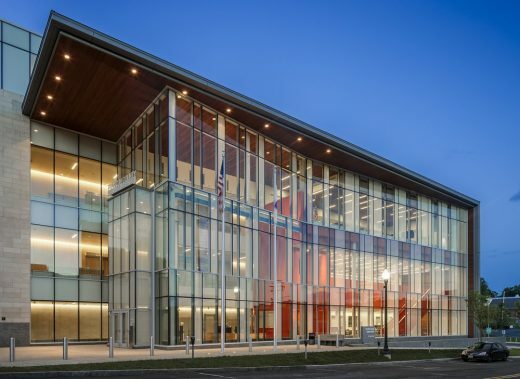 This Massachusetts architecture office has completed the $66M Franklin County Justice Center in Greenfield, MA. Located on Main Street in a historically attentive town, the 109,080-sqft building combines the renovation of the 1930s Franklin County Courthouse with a new addition. Construction starts on Lesley University’s Lunder Arts Center in Porter Square, Cambridge. 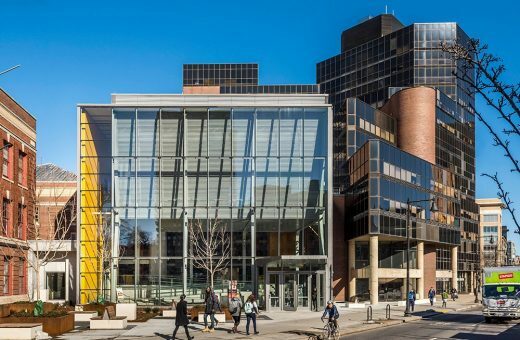 The 70,000-sqft, LEED Gold-designed project marks a bold new chapter in the history of the university’s College of Art and Design, the new name of the century-old Art Institute of Boston. The PEM selected Ennead Architects to design the museum’s $200m, 175,000-sqft expansion. 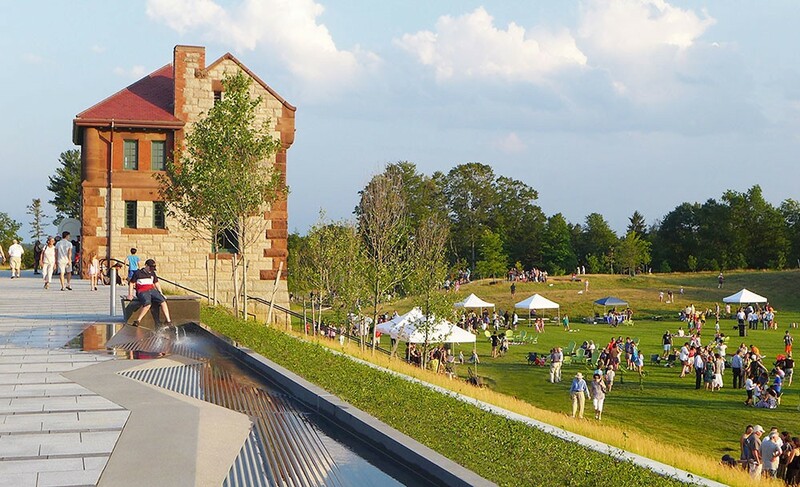 The architects have strong museum experience having designed the renovation and expansion of the Yale University Art Gallery, as well as work at major US museums such as the Natural History Museum of Utah. This is a 24,000 sqft zero-net-energy building – a combined transit center and government office. Designated as a future train depot the building is designed to generate all the energy that it uses through renewable sources. 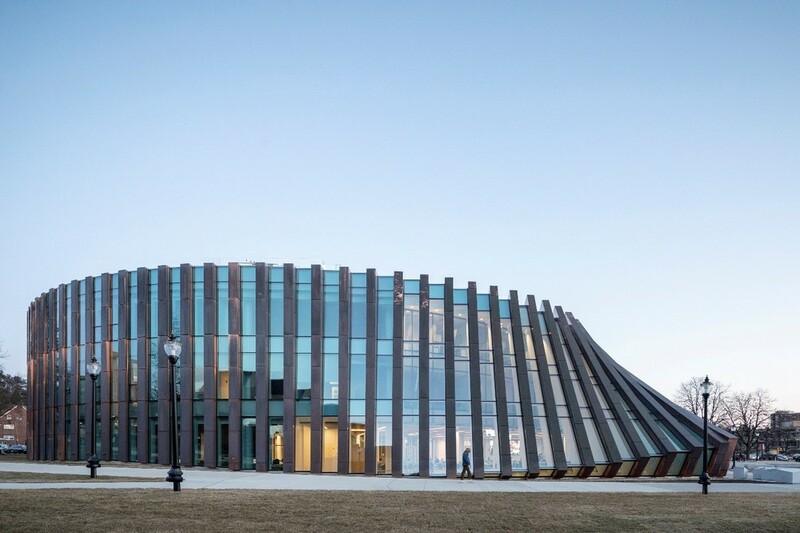 This building in Taunton won a 2012 American Institute of Architecture/Academy of Architecture for Justice (AIA/AAJ) Justice Facilities Review (JFR) Program Award of Excellence Merit. e-architect try to select the best examples of Massachusetts Buildings, USA. 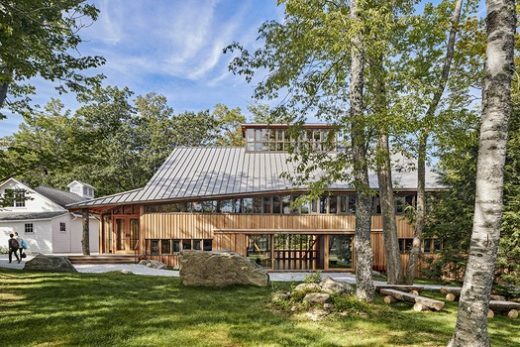 We aim to include major completed Massachusetts buildings plus new building designs across the state.